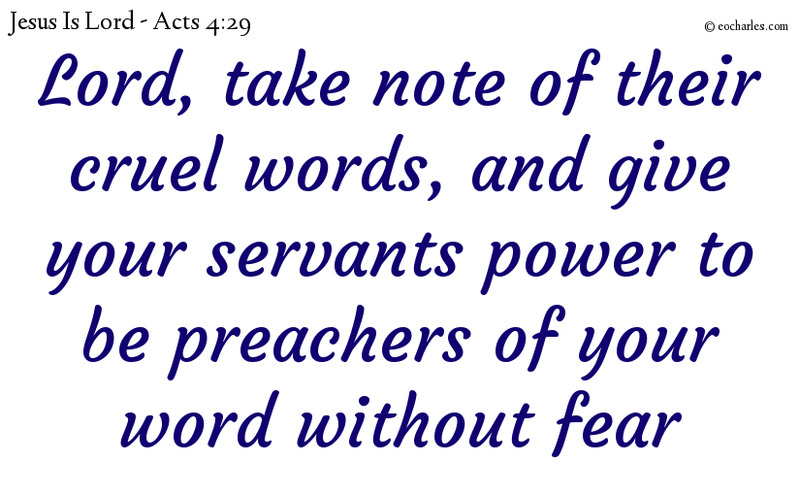 Lord, give us, your servants, power to be fearless preachers of your word. Jesus shows us how to grow the kingdom of God. 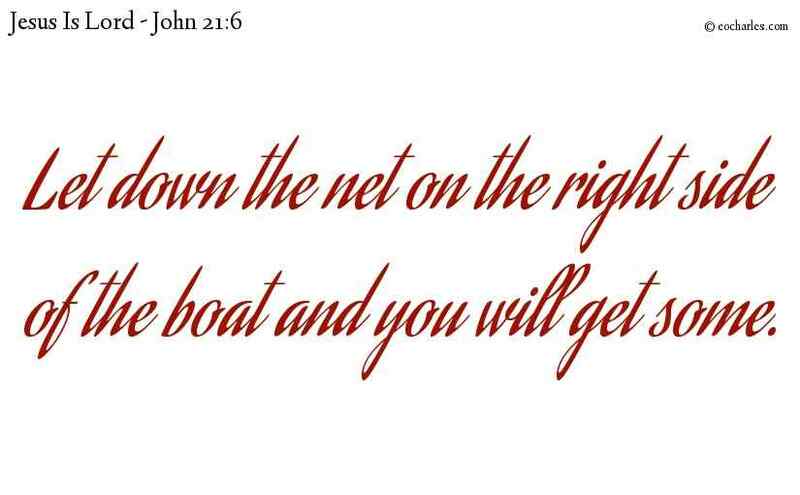 Joh 21:6 He told them, “Throw the net on the right hand side of the boat, and you’ll catch some.” So they threw it out and were unable to haul it in because it was so full of fish. Continue reading Jesus shows us how to grow the kingdom of God. And in no other is there salvation: for there is no other name under heaven, given among men, through which we may have salvation. JESUS, No Other Name But JESUS. are you questioning us today about what we did to help this crippled man? Are you asking us what made him well? We want all of you and all the people of Israel to know that this man was made well by the power of Jesus Christ from Nazareth. You nailed Jesus to a cross, but God raised him from death. This man was crippled, but he is now well. 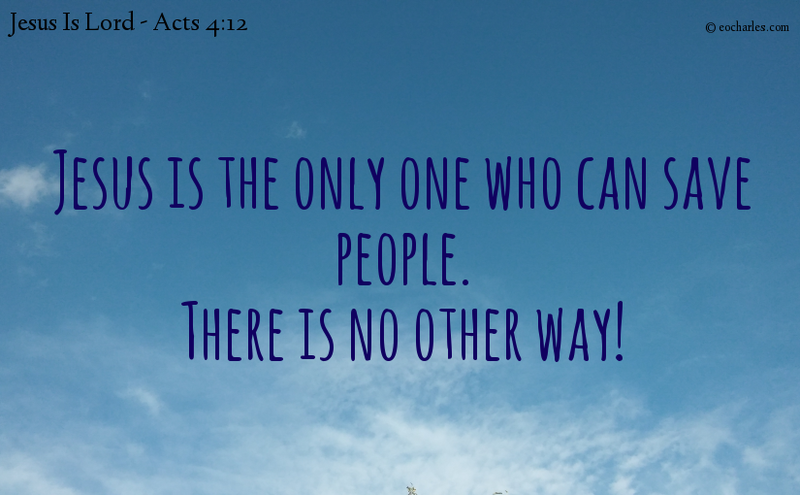 He is able to stand here before you because of the power of Jesus! The Jewish leaders understood that Peter and John had no special training or education. But they also saw that they were not afraid to speak. So the leaders were amazed. They also realized that Peter and John had been with Jesus. They saw the crippled man standing there beside the apostles. They saw that he was healed, so they could say nothing against the apostles. The Jewish leaders told them to leave the council meeting. Then the leaders talked to each other about what they should do. They said, “What shall we do with these men? Everyone in Jerusalem knows about the miracle they did as a sign from God. It’s too obvious. We can’t say it didn’t happen.